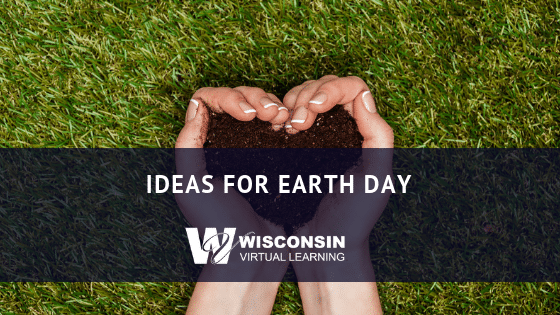 The focus of Earth Day is to raise awareness of environmental problems and to get people to work together to solve them. Earth Day in the US was founded on April 22, 1970. Wisconsin US Senator Gaylord Nelson worked hard to help the federal government recognize growing environmental issues. He organized the first Earth Day with rallies in New York City, Chicago, and Washington DC. Many other US cities also held smaller gatherings of local citizens. Over the next 10 years, many US Federal laws were created to protect different parts of the environment. Plant trees and gardens – Trees are known for helping the environment by providing oxygen, providing cleaner air, and homes for animals, birds, and bugs. A native tree will do the most good and adapt well. Planting wildflowers also provides food for birds and insects, including bees and hummingbirds. Planting vegetable gardens can provide tasty, healthy food for your family without pesticides or store packaging. Make sure to save your garden waste to use as compost for next year’s garden. Clean up litter – This is a great day for families to start volunteering to clean up your neighborhood, and nearby streets and roadways. Litter isn’t just unsightly. It can harm local wildlife and contaminate soil and water sources. Reuse, Reduce, Recycle – Develop habits of carrying water or food containers instead of using disposable plastics. Bring cloth or paper bags with you to the grocery shop. Also, make sure your family cleans out and recycles cans, paper, and bottles. Not rinsing cans or plastic items before recycling can mean only 18% of what we put into recycle bins will be recycled. The rest will go into landfills. Don’t forget to rinse. Donate or sell used items – Selling items online, or in a garage sale, not only helps your family finances, but helps the buyer save money. Best of all, it keeps your unwanted stuff out of the local landfills. Lots of local charities collect clothing and household items to benefit people in need. Donations can also earn tax deductions while helping your community. These are just a few ways to celebrate. Share your own ideas with your family, neighbors and classmates. Happy Earth Day!